It doesn’t matter if you only have 5 employees or 40. K1 has nice, modern KTV (karaoke) rooms, and has great food and service. What’s more, the venues are very versatile too. One time, we handled a team building event here. The other, a Bingo game. One time, we also had a bridal shower there. K1 is great for small parties because of the privacy their KTV rooms provide, while having contemporary facilities, and a wide food and alcohol selection. They even have a cafe that offers board games and a special game room that has XBOX Kinect. What’s more, since K1 also houses a spa in their compound, you can finish off with a relaxing massage after your festive Christmas party night. 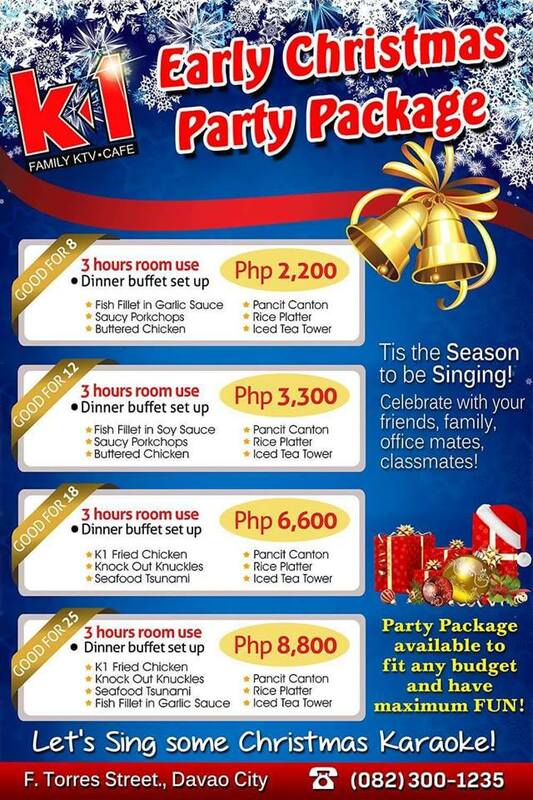 Check out K1 at Torres st., Davao City or call (082) 300 1235 for bookings and inquiries. If you’re looking for a small hotel with a classy, cozy, homey atmosphere, Hotel Vicente is at the top of our list. In fact, this is one of our recommended locations for corporate parties and presscons. 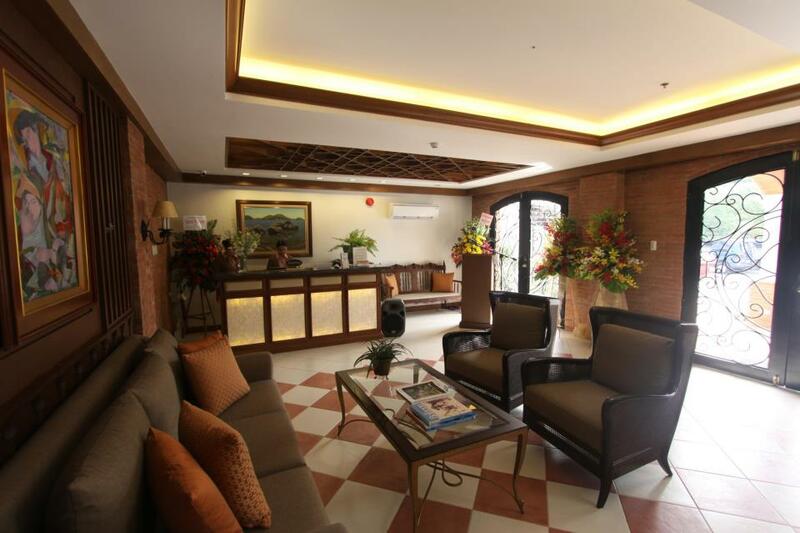 Located at the heart of Davao City, this boutique hotel is a stone’s throw from major commercial areas, and very accessible via public transport. What we love most about Hotel Vicente is their impeccable service, and good food! Their menu boasts of sumptuous Filipino-Spanish style dishes, and lots of healthy choices too. The hotel also hosts a wine bar, function rooms for up to 60 pax, and fast Wi-fi. Find Hotel Vicente at Torres st. Davao city and call them at (082) 295 7053 for bookings and inquiries. Let’s go up north for a bit and check out another great venue with drool-worthy Chinese/ Cantonese food: West Empire. 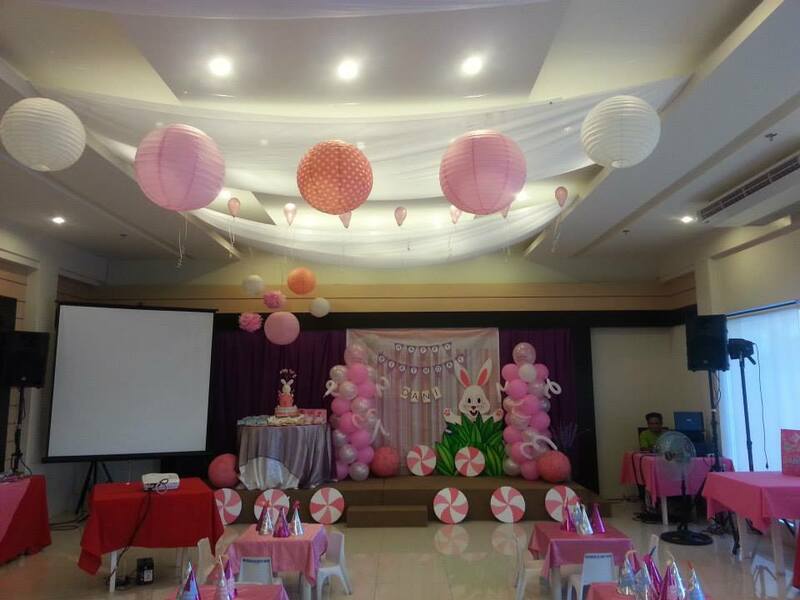 Located near West Insular Village and Subaru, West Empire houses a classy function room good for up to 150 guests. You can even use their outdoor rooftop area for an open bar, photobooth area, or for a super chill under-the-stars experience. With modern ambiance, in-house lights and sound systems, experienced staff, and a flexible menu, you’re sure your party is in good hands. Ready to book your party? Call them at (082) 282-0519 and look for Tina. Another favorite venue to hold our small parties and press conferences at is another downtown sweetheart: Cafe Demitasse. 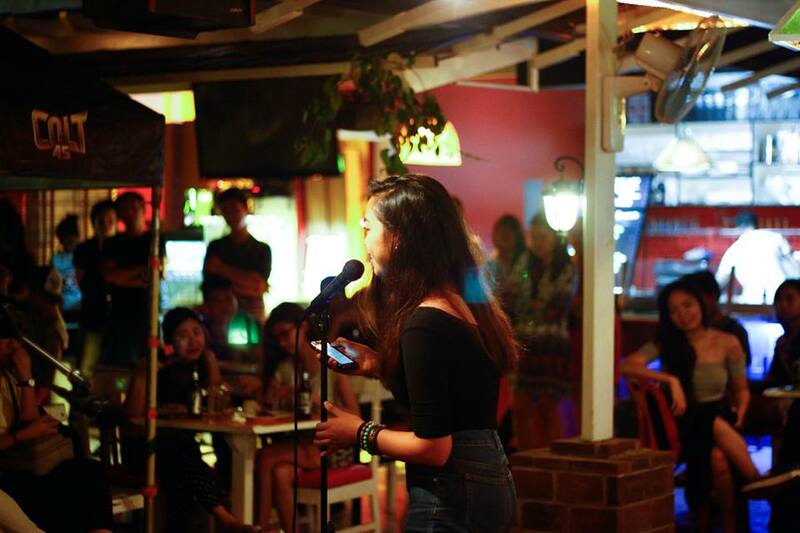 If you’re up for a brunch party, a coffee party, a special date night with your loved one or a small corporate gathering, Cafe Demitasse is an awesome venue. A notable thing about Demitasse is how good their service is. Their staff are always very accommodating and pleasant, which makes their entire ambiance a really great experience. Also thrown in are other bonuses: their contemporary furniture, lively color schemes, and elegant fixtures. Always a great backdrop for a super fun night! Visit Cafe Demitasse at Torres st., Davao city or call them at (082) 282 2828 for bookings and inquiries. If you head down south, here’s another great recommendation located at McArthur Highway, Bangkal, Davao city: Red Rooster Bar. A rooftop events venue catered by veteran foodie haven Kookel’s, Red Rooster is a good place to hold parties with 30-80 people. 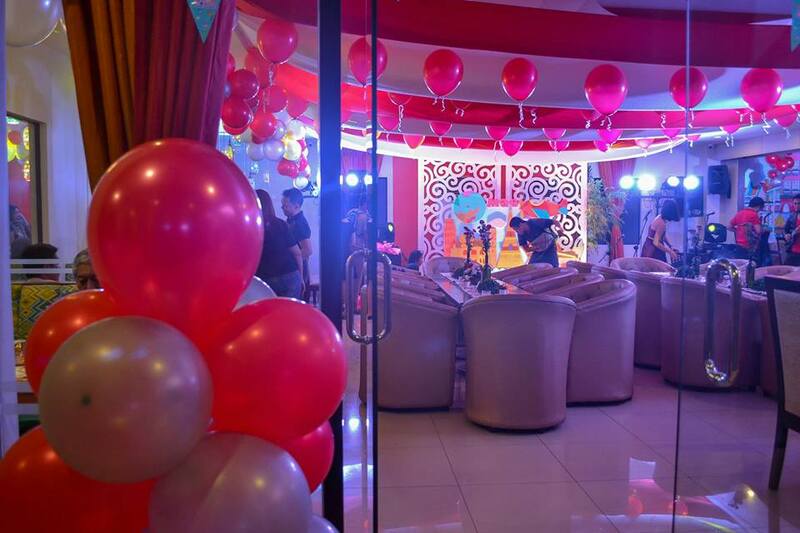 They can set up a KTV/ karaoke system for you, some lights and sounds, a live band, or have a open bar for your special occasion. It’s also recommended for exclusive art shows, family reunions, or for hosting guests that love a wide spread of Filipino cuisine. For inquiries and bookings, you can get in touch with them at (082) 285 0190. Now that you’ve had 5 of our best picks, if you haven’t booked your Christmas party yet, better check them out because bookings go swiftly this time of the year! And if you need more help in planning a unique, fun, and well-executed Christmas party, email us for inquiries– prepdavao@gmail.com or reach us at 0917 678 0008. We’ve got you.